The Sofitel Los Angeles is the epitome of the fusion of European elegance and Hollywood glamour. It is glitzy and sleek. The hotel is the sort of place you go with your new date to showoff class and piety. You will never lack for something interesting to do here. Expect to find amenities such as air conditioning, in-room safe, Bose sound system, minibar, cable/satellite TV, pay-per-view movies, wireless internet, voicemail, hair dryer, 24-hour room service and makeup magnifying mirror. A stay at this hotel will introduce you to the authentic French and Mediterranean cuisines. The Esterel Restaurant is serves you innovative Californian cuisines and French-Mediterranean delicacies. Another lounge, the Riviera 31 offers you some of the most interesting cocktails and tempting plates. If you have a meeting, an event or even a wedding on the pipeline, trust the hotel's event coordinating team to deliver a flawless event. The hotel has a total of 11,000 square feet flexible space. By gracing this hotel, you will be joining a big list of former and current celebrities that have vacationed here. Make a reservation today. You can also click here to view what other travellers are saying about the hotel on Trip Advisor. 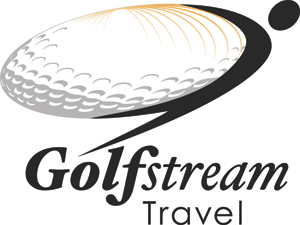 Golf Stream Travel will help you plan your trip to Los Angeles.